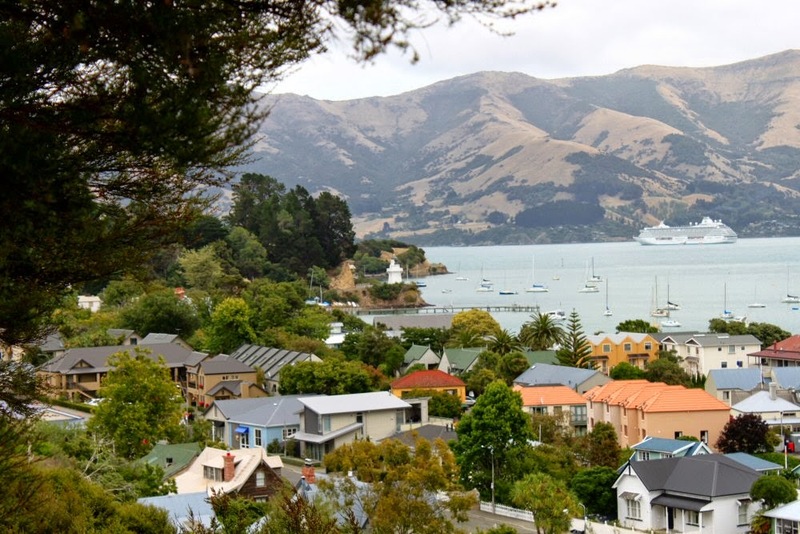 Akaroa is not the cruise port for Christchurch since the earthquake in 2011. I’m not sure if it was damage to the cruise dock there or just the damage to the central part of the city entirely that diverts the cruise ships. The center part of the city is still majorly under construction. There are many parts you still can’t get to because of the danger of buildings whose structures have been compromised. 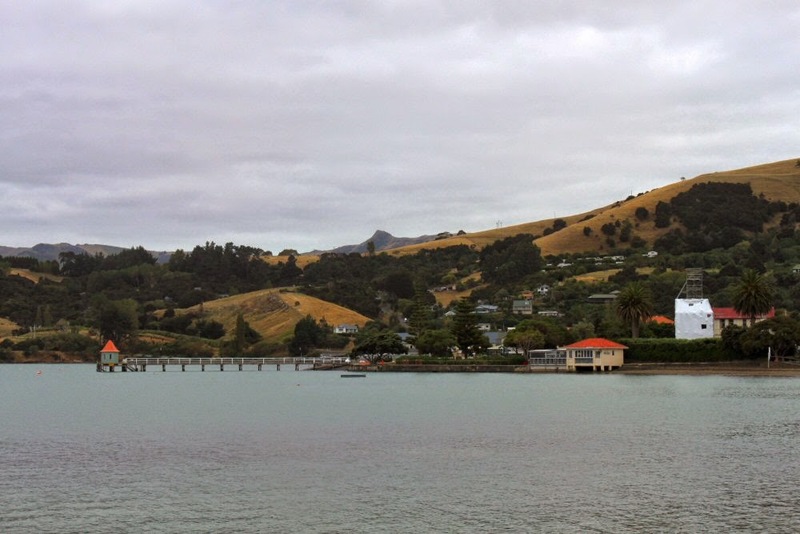 We were happy to stay in Akaroa since we’d never been there before and had visited Christchurch in ’13. What we were actually looking for were some trails or tracks as the Kiwi call them to get some exercise and fresh air. While walking around the Promenade Deck is good exercise, it gets a little boring day after day. The Serenity anchored in the harbor and tenders were lowered and began their runs by the time we were done with breakfast. We were met at the dock by several very polite but insistent tour guides who would have liked to show us dolphins in the harbor or take a ride in a vintage car (that one was tempting). Instead, we kept on walking to where another couple who’d visited before said there was a trail to the top of the hill. It turned out to be Stanley Park on our map and there were several tracks to choose from. It was early. We felt full of energy so we tackled the one that led to the top of the park. At the top of one hill, there was a bench and we stopped to check in with Facebook—well, I stopped to rest while Bob used his international data to check in and Facetime with his brother. It was nice to see familiar faces from home though and catch up a bit. After saying goodbye, we were on our way again but it wasn’t long before we discovered why there were gates and fences along this track. 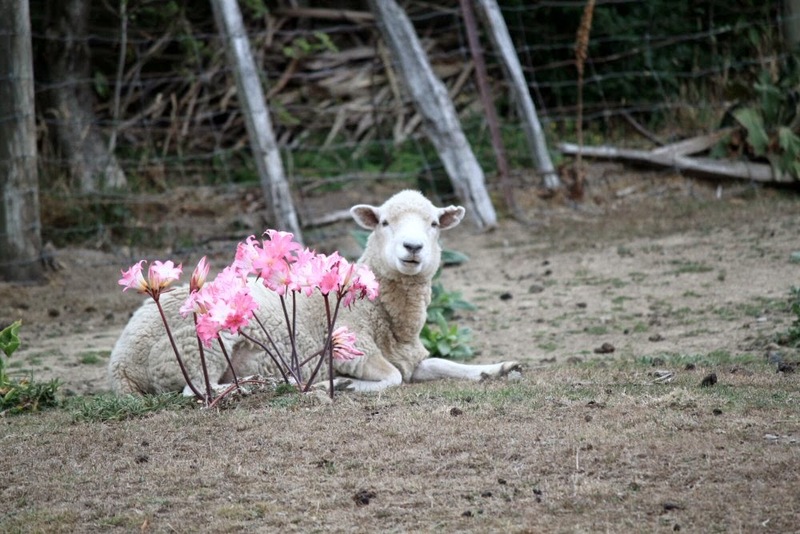 We found ourselves in the middle of a “mine field” of sheep dung. At one spot is was impossible to watch where you stepped. I kept saying that it will all fall away on our way back to the ship. At least I hoped so. There were gorgeous views from the top and we stopped often to take them in as well as enjoy some of the antics of the sheep who obviously didn’t have many people tramping through their mine field often. A track wound its way back down to Beach Street and we found ourselves at the far end of the town looking for a spot to have some coffee. It wasn’t long before we found it. 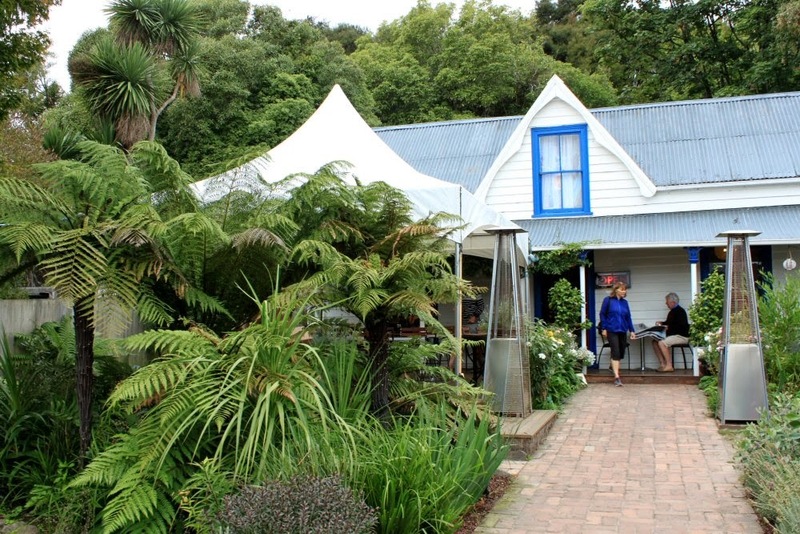 A little garden held tables and chairs and a café with a street sign in chalk that read, “Today’s special: Coffee and Danish $8.50.” Eight-fifty in NZ dollars shook out to just under $6 USD. Not a bad deal. And then we found out they had free WiFi. And it was fast! What a find! Our coffee and Danish was delightful and once it disappeared and all of our phone updates were finished, we started back toward the tender dock. The clouds were thickening and we wondered if there would be another afternoon of rain. New Zealand was needing it. I didn’t remember it being quite so brown on our last visit. 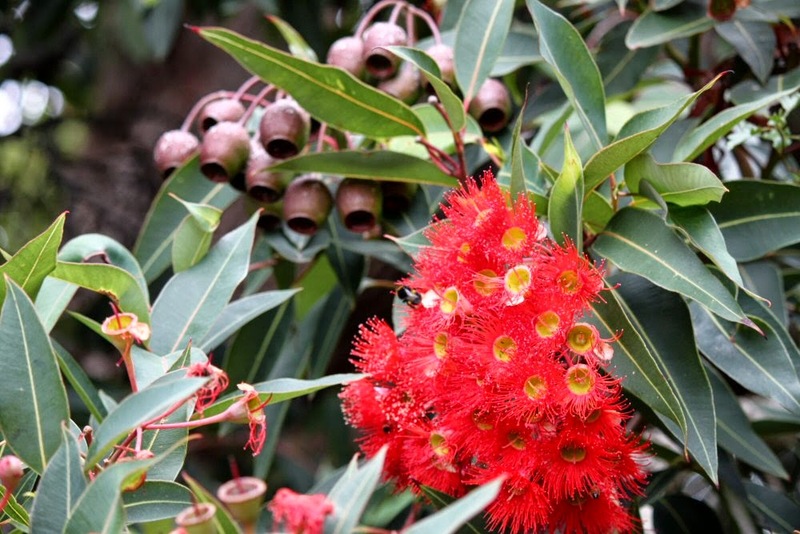 As we walked down the street we heard an “Ohoooga”. The vintage driver with his vintage car had snagged a tourist for a ride. They were having fun. 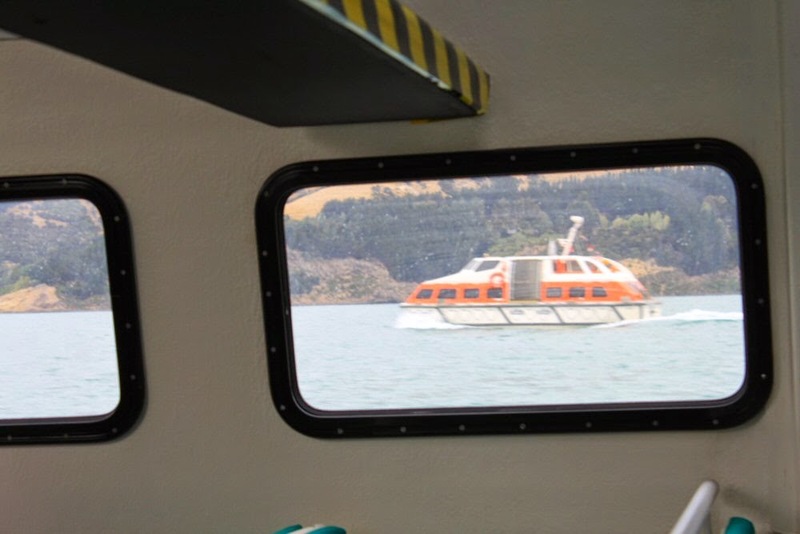 Tendering at Akaroa was actually quite pleasant compared to some ports we’ve done in the past. The ride was smooth and getting on and off easily done. I’ve included a picture of what it looks like from the inside. This tender would be called a lifeboat if we had to abandon ship. Somewhere inside were all the emergency provisions. Probably under our seats. I’m sure the ride wouldn’t be nearly as pleasant if it were an emergency. World Cruise - Hello Melbourne!